Woman stands in the cold. Photo courtesy of Kristin Vogt. We’re in the middle of winter, a season that many claim to be the most fashionable one of all. But, on the other hand, we have the practical and really cold people, whose only goal is to stay warm. Dressing nice in temperate weather is already a struggle, but dressing nice in the winter can be a even harder challenge. If you don’t live in a habitually cold state, you might not even have appropriate clothes for this type of weather. But even with all these obstacles, if you still manage to dress like you just came out of a winter catalog, I applaud you. However, if you’re worried about people judging you because you basically look like a homeless person, don’t! Everyone knows that when winter comes, staying warm is priority, so the sweatpants and three jackets you’re wearing are totally acceptable. And if you look around, chances are you might find someone who looks like more of a mess than you. Overall, it’s still very highly contested if it is even possible to stay warm in the negative degree weather we’ve been having this winter and still look good. There’s only so much you can do to try to make yourself look stylish while remaining protected from the cold winds. Honestly, at some point, it doesn’t even matter what you’re actually wearing, most people will only see the coat you have while you walk around. 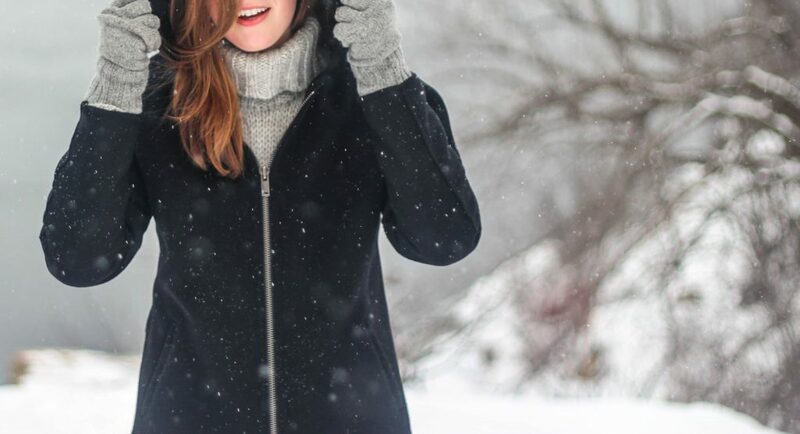 Luckily, for those who have no other choice than just using multiple items of clothing at the same time to stay warm, this winter, layers are in! So go for it, and just rock those three different jackets. This trend is a light in the end of the tunnel for people who are slightly worried about fashion but don’t want to make all that much effort. Padded jackets are also something you can invest in, since vogue also pointed the trend as a hit for the season. Another trend is fake fur, which is not only stylish but also supports a good cause. This season fluffy materials are not only super cute and have a nice feel to the skin, but are also “the natural choice for a winter wardrobe,” according to Vogue magazine. But the best news for this winter fashion is definitely how pajamas are in. Yes, not only will any old T-shirt be a catwalk look, but something with lace or even with masculine sensuality will do.